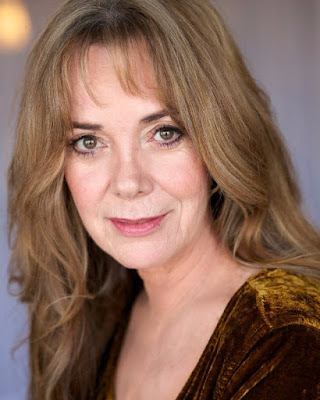 An actress and voiceover artist with literally hundreds of credits to her name, veteran performer Anne Lockhart will be a guest star in Episode 9, which will have a debut screening in late July. 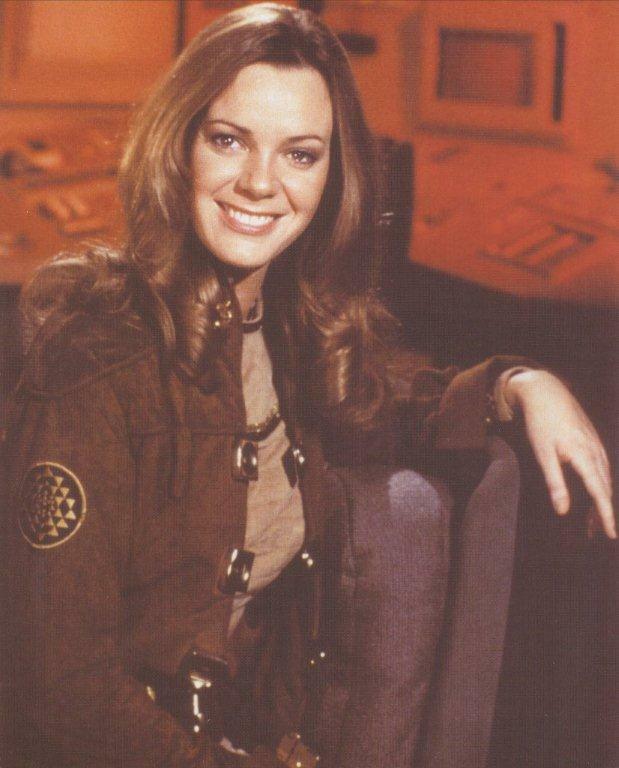 Lockhart is best known to science fiction fans for her groundbreaking role as Sheba in the original Battlestar Galactica in 1978. Now her travels take her to another science fiction universe. An invitation to join the cast came from STAR TREK CONTINUES creator Vic Mignogna. Lockhart loved working with fellow guest star John de Lancie on the episode, and it was actually the second time that both had worked together. Lockhart has built an impressive resume over several decades of TV, film, and commercial work. Her first series was Lassie in the late 1950’s, as a child actress. Years later, Glen Larson, the creator of Battlestar Galactica approached Lockhart about a role in proposed series. “The role of Sheba was written for me. I knew Glen Larson because I had done episodes of the The Hardy Boys for him. He sent me the barebones pilot script for Battlestar Galactica. And basically it was about a bunch of guys and a girl who came in every few pages and said ‘don’t forget your laser gun.’ I turned it down,” Lockhart explains. She was recovering from a fire that had burned down her house and was living with her mom (TV actress June Lockhart) at the time. “Glen said he could always rewrite the character, and the script went through several re-writes.” Lockhart loved the revised script and came aboard the Battlestar. Being in space was nothing new to the Lockhart family. Lockhart’s real mom played Maureen Robinson on Lost in Space, the mother to a family traveling the stars. Some days, Anne and her sister were dropped off at the 20th Century Fox lot to wait for their mom to finish her work and do homework in her dressing room. “I remember one day there was a chunk of time when Billy Mumy (who played Will Robinson) had nothing to do. We just took off and wandered the Fox lot for two hours, exploring the sets of shows like Peyton Place. And then we finally wandered back. My mom was panicked. And so was Billy’s mom,” Lockhart laughs as she recalls the memory. She worked out the schedule to come to southern Georgia and the new planet set of STAR TREK CONTINUES for her role in Episode 9. Like William Shatner, Anne Lockhart has a fancy for horses and has raised thousands of dollars of the years with rodeos benefitting autistic children. And she serves on the board of directors for the Thousand Oaks, California Kingsmen Shakespeare Company. “It’s been several years since I’ve appeared on stage with Kingsmen. It was started by my friend Lane Davies, and literally it started with a dirt stage and two lights. Now it’s one of the premiere Shakespeare companies in the country. My children have grown up performing with me. It was so cool to go there, thrown down your blanket, and see Shakespeare presented in a very contemporary way. We did Julius Caesar, but set in a city like New York. It was like The Godfather. We did The Merry Wives of Windsor as if it was the swinging London scene of the 1960’s. It’s not just a bunch of people in togas,” says Lockhart. While she has seen some rough cuts of the episode, Lockhart says she’s looking forward to the public release of Episode 9. I understand your thoughts on the matter, and the visuals of the Spock character was indeed much younger looking and off. However, it must be said that the portrayal, mannerisms and spirit of each and every replicated character was spot on. I don't think one could ask for anything more and certainly would expect much less considering the volunteer nature of the production. I just want to add that not only were the CGI, sound and score lovingly crafted, they could not have gotten closer to relevant and extremely important social issues still plaguing humanity today. They did justice to the lost years between the end of TOS and STTMP. This is the crew that should helm a new bold vision of Star Trek post Voyager. I say imagine a new series and kick-start the heck out of it!